If you haven't yet been to the hottest little record shop in Echo Park, Origami Vinyl, you haven't lived. They just opened their doors last Friday and the vinyl world just became a brighter place. This total hipster hang out is next door to The Echo (where people like Rodriguez, Flying Lotus and more perform). Check out their sic selection of new vinyl and vinyl players. 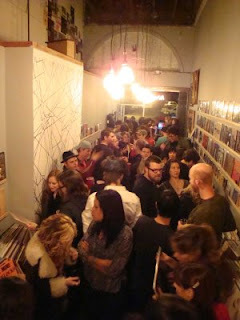 Plus buy tickets for The Echo at this new vinyl-lovers hot spot.